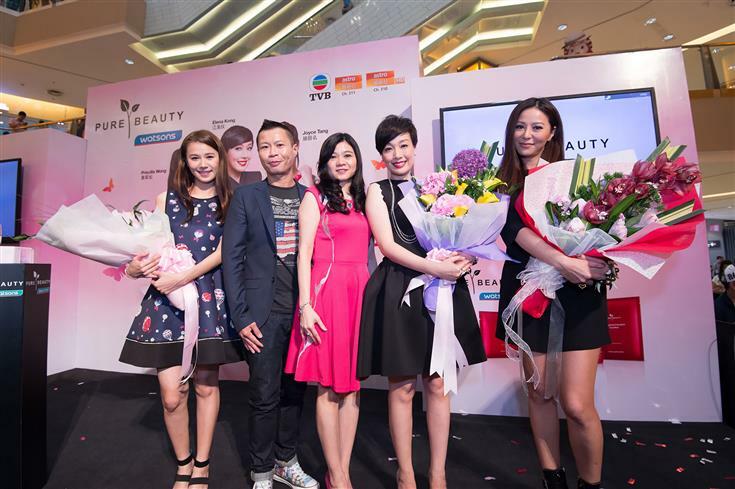 Courtesy to Watsons Malaysia, I finally get to meet my favourite Hong Kong superstars as the beauty-inspired infotainment program, All Things Girl (姊妹淘) is recently launched in Malaysia, brought by Pure Beauty exclusively at Watsons. The Malaysian version series will adopt the concept aired in Hong Kong, but more tailored for our local audience. eagerly waiting for the appearance of the 3 beautiful Hong Kong artistes. Welcome to Malaysia, Priscilla Wong 黃翠如, Elena Kong 江美儀 and Joyce Tang 滕丽名! The Malaysian version of All Things Girl (姊妹淘) series will adopt the concept aired in Hong Kong, but more tailored for our local audience. Here you can expect a special 6-episode program in which each of the trio will host the episode and speak on topics relevant to women today. During the launch, we also learned some great personal beauty tips from the superstars, followed by some beauty demonstrations with Pure Beauty exclusively at Watsons products. 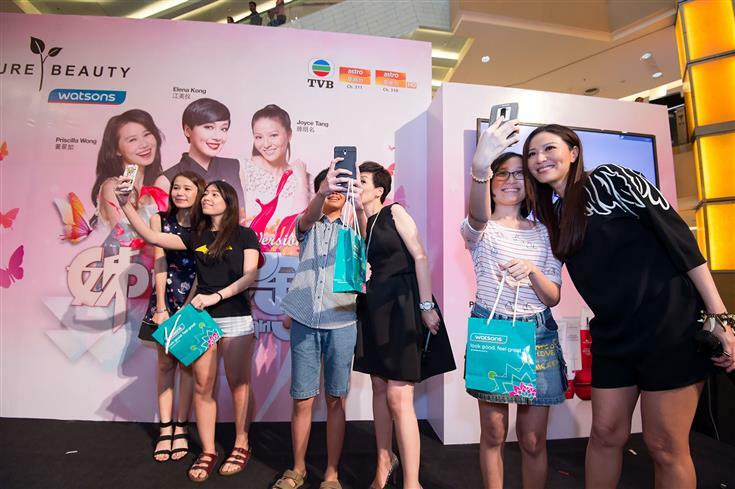 The lucky winners of the day had selfie opportunities with the stars too, how I'd wish I could do the same! The launch was officiated by Caryn Loh, General Manager of Trading, Danny Hoh, Head of Marketing of Watsons Malaysia and the fellow Hong Kong artists. ....followed by the presentation of flowers to the Hong Kong superstars. 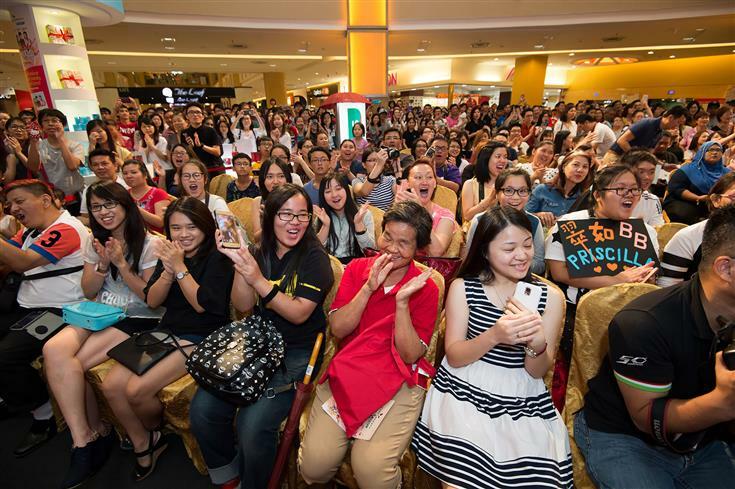 Watsons customers who attended the event even had an exclusive meet and greet session with the artistes! If you have not heard of Pure Beauty, it is a Korean skincare brand, made for Asian woman using the latest Korean technology and finest natural ingredients. 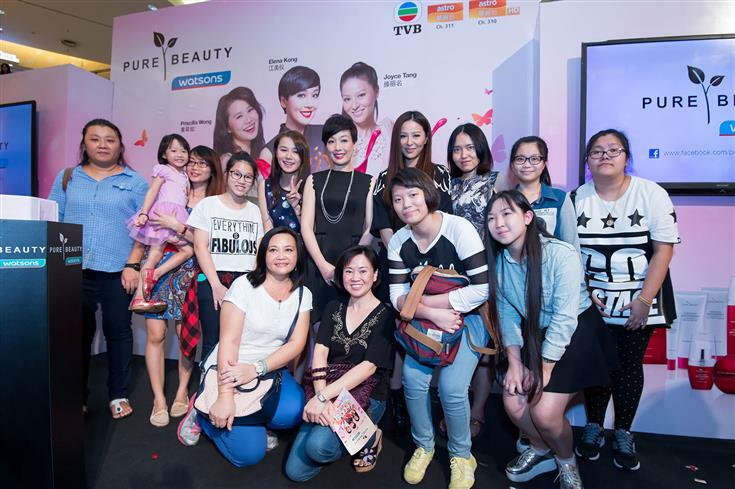 All Things Girl (姊妹淘) program, sponsored by Pure Beauty, will start airing on 6 September 2015 at 9pm on Astro's Wah Lai Toi and Wah Lai Toi HD channels. Don't forget to visit the brands on Facebook!